Prisoner of the Mind will be available for $0.99 all weekend. If you haven’t got your copy yet, here is your chance to get it for cheap. How do you know right from wrong if every memory, every thought in your head was put there by your enemies? In a near-future, when humanity has begun to spread throughout the stars. In the process, they’ve awakened abilities hidden within their own DNA. Psychics have begun to appear at ever-increasing rates with abilities that range from mental manipulation to mass destruction and beyond. Empowered by public hysteria and fear of psychics, Amalgamated Worlds has taken over. Their powerful combination of military and security forces, control of media and communications, and manipulation of internal threats has created a police state that spans all of human space. Shaden Kirroy is a product of that police state. Designed to be a weapon for use against his fellow psychics as well as any civilians who step out of line, he is an artificially enhanced psychic. He is a blank slate, his past erased and replaced with engineered loyalty to Amalgamated Worlds. Yet Shaden realizes that something is terribly wrong. As his world begins to unravel, as he realizes the horrors of what was done to him, Shaden must find a way to free himself, to unlock the prison of his own mind. 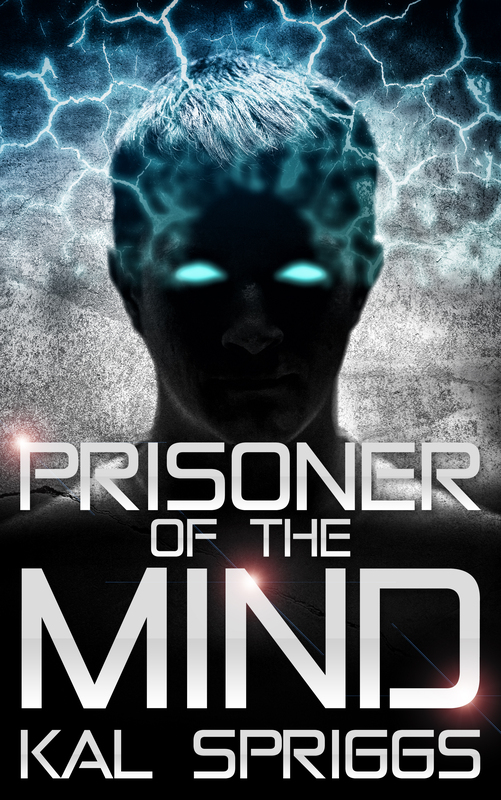 Prisoner of the Mind, the first book of the Project Archon Files, is now available! In a near-future, humanity has begun to spread throughout the stars. In the process, they’ve awakened abilities hidden within their own DNA. Psychics have begun to appear at ever-increasing rates with abilities that range from mental manipulation to mass destruction and beyond. Empowered by public hysteria and fear of psychics, Amalgamated Worlds has taken over. Their powerful combination of military and security forces, control of media and communications, and manipulation of internal threats has created a police state that spans all of human space. Yet, Shaden realizes that something is terribly wrong. As his world begins to unravel, as he realizes the horrors of what was done to him, Shaden must find a way to free himself, to unlock the prison of his own mind. Prisoner of the Mind, near-future novel of mine set in the Shadow Space Universe, is coming soon! Prisoner of the Mind is a techno-thriller set in the near future, where people with psionic abilities have emerged and society hasn’t adapted well to their existence. Look for Prisoner of the Mind at the end of the month! Last Chance For Prisoner of the Mind! My campaign on Kindle Scout is coming up on it’s last few days. Prisoner of the Mind is a book set in the Shadow Space universe, which is set during the last days of Amalgamated Worlds, during a time when people with enhanced mental abilities are hunted and feared. Why nominate it? Well, if I get enough nominations, then I’m more likely to be picked up by Kindle Scout, which helps me out. Also, if it gets picked up, then everyone who nominated it gets a free copy when they release the book. If it doesn’t get picked up, then everyone who nominated it will be notified when I publish it. So while nominating it doesn’t guarantee you’ll get a free copy, it does make it more likely. Hi everyone, it’s August. Things are about to get really busy around here. I’ve got a novel coming out just about every month from the 1st of September onwards and believe me, I’m writing as fast and much as I can right now. Up first, Ghost Star, Book 6 of the Shadow Space Chronicles. That will be available September 1st. Shortly after that, I’ll have Valor’s Calling, Book 2 of the Children of Valor series, which my goal is to have out by the 30th of September. For Renegades fans, I hope to have the next Renegades book, Renegades: Royal Pains, out in October. That’s still a ways out, but it looks good so far. I’m also starting a Kindle Scout campaign for Prisoner of the Mind (Please check it out and nominate it, if you would. All it requires is an Amazon account). Prisoner of the Mind is set around a century before the events of The Fallen Race and for those of you curious about the universe, this story fills out a lot of the details that you might have questions about. As far as writing, I’m working on finishing Valor’s Child, outlining and writing the next Renegades, and then finishing Heir to the Fallen Duchy. I’m happy to announce that my novel, Prisoner of the Mind, will appear on Kindle Scout. Prisoner of the Mind is a novel set in the greater Shadow Space Chronicles universe. It is set before the fall of Amalgamated Worlds. So for those of you who want to see how it is that humanity got where it was, this is a book where you’ll learn a great deal. Thanks for reading!